The UNFCC’S COP 21 summit in 2015 marked a very positive turn of events to drive transformative initiatives on Climate Change across the globe. Notably, during the summit, 190 countries agreed and committed to keep climate change ‘well below 2°C’. In the follow-up events, nearly 180 countries ratified and signed up on this Agreement. This development bodes well for the Global Climate Change movement. The Paris Agreement also has important implications for real estate owners, occupiers and investors, especially since buildings account for around 40% of global energy consumption. Clearly, the countries that have signed up to keep global warming limited to less than 2°C’ will have to keep real estate and building energy consumption central among the measures that they will need to institute to support this commitment. As far as India goes, more than 60% of the country’s 2025 vision of buildings and infrastructure are yet to be built. Over three hundred million Indians are expected to move to urban areas over the next 20 years. This arguably represents the biggest mass migration and urbanization to be witnessed across the globe in recorded history. Preparedness for these events needs to be backed up by positive impact developments in the fields of energy, water, transport and municipal waste management. India’s rapid scale of urbanization is now presenting this as most pressing and current demand. Look at where we are today, evidence clearly points towards the fact that most of the Indian cities are grappling with issues such as poor quality of ambient air, water scarcity or flooding, traffic snarls and challenges related to municipal solid waste disposal, amongst many other problems. For urbanization, the key areas of focus from a sustainability and liveability perspective are energy, water, air, waste and urban transportation. Alongside these, natural disasters such as the Chennai floods and the Nepal earthquake – and their impact on the respective cities – have laid bare the dire need for resilience as a leading objective in urban planning and infrastructure design and development. As outlined by a report on Resilient Cities and Urban Futures published by JLL in 2013, cites need to protect people, buildings and critical operating infrastructure from the effects of major storms and other events. At a conceptual and implementation level, Smart Cities represent a convergence of these focus areas. The Smart Cities initiative, delivered to the intent of its concept, will go a long way in alleviating the concerns thrown up by the breakneck speed of urbanization in present-day India. Smart cities aim at optimum utilisation of infrastructure and resources, combining growth and infrastructure demands enabled by Information and Communication Technologies (ICT). There are various examples of Smart Cities across the globes, and each of them is unique in its geographic and social attributes, and economic engines. Examples such as Barcelona clearly indicate that one does not necessarily have to build a Smart City from the ground up – it is equally possible to ‘smarten’ existing infrastructure through incremental improvements and well thought-out projects. Existing cities with well-established economic and social engines get ‘smartened’ through incremental improvements in existing infrastructure and very close planning and monitoring of expansions. JLL has evolved its own building and city-level ICT solution through a key partnership with Pacific Controls that represents a convergence of electricity, water, citizen connect, resilience, crisis management and emergency response. This platform is called ‘Intellicommand’, and its capability continues to evolve through each phase of implementation. Platforms such as these will provide a key enablement of Smart City programs through agile and adaptable technology solutions to suit different economic and social environments. Importantly, customization of ICT solutions will be the key to fortifying the Smart City program and provide a necessary fillip to its progress. 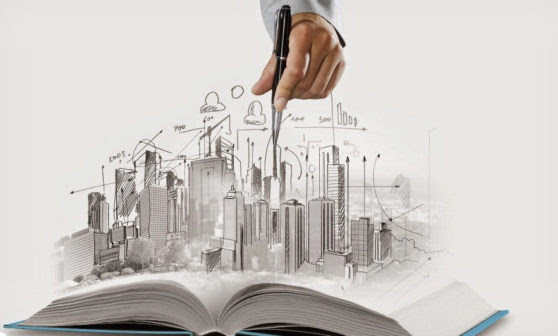 While the MOUD has done its bit by providing a framework to the Smart City concept and providing guidelines to define a Smart City, each city will need to decipher its own customized solution and program to evolve into a Smart City. The solution can, of course, draw from a framework or a guideline – but the solution must reflect the social and economic engine characteristics of the city, and take into account its geography that will determine the scale, content and pace of its urbanization. Urban planners and architects have to get used to an inclusive methodology of planning that involves not only the traditional dynamics but also ICT solutions and final governance models for the city, where private enterprises will increasingly partner with the government. For example, while designing a Waste Management solution for a smart city, there would need to be the involvement of private enterprise involved in waste generation, disposal and consumption to recycle and reduce landfill pressures. Governance models will have to include building operators, township operators and ICT solution providers to provide the real-world inputs into plans that will one day transfer into efficiently operated and managed structures. In summary, Smart City growth will involve public private partnerships not only for planning and development, but also in operations.